The Barreworks method will allow you to confidently guide your client through all stages of their pregnancy. You will delve deeply into understanding diastasis recti, the anatomy of the core, and pelvic floor health. 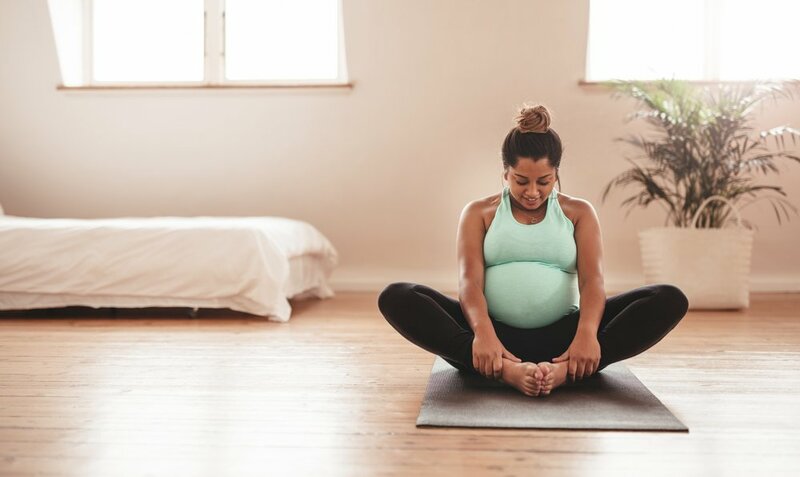 Upon completion, you will be prepared to provide modifications to help alleviate common aches and pains, recommend targeted stretches and assist in helping set women up for a healthy pregnancy and speedy recovery. This course is online only and takes approximately 3-4 hours to complete. No part of the course is to be completed in studio. Participants MUST complete the online quiz and pass with 80% or higher to receive a certificate of completion. This course is open to all fitness instructors and anyone who wants to learn more about childbirth and adaptive workout techniques, including women who are currently pregnant. Those who are Barre Certified by Barreworks receive a members discount of 25% off. Email carman@barreworks.ca to receive your discount or if you have general questions. Barreworks’ prenatal course was everything I needed! Living in such a remote community, I am always looking for online tools to further my knowledge and education as an instructor. The course allowed me to go at my own pace. I enjoyed every moment of it, soaking up the information with my afternoon coffee between teaching classes. It is important to feel confident as an instructor and to be able to diversify your class in any given moment. The course gives you the tools to make your regular classes accessible to pre and post natal women. - Jen K.